LEGIT the word has multiple meanings such as real, true, lawful or cool, but in our definition is about attitude. Attitude for pursing high quality and performance. Iitaka Hirofumi and Onikata Takeshi were good friend as well as competitor in the competitive Japan fishing industry, both of them are famous in rod designing area. For making their ideal fishing rod for anglers, they got together and established LEGIT DESIGN Company in Kanagawa, Japan in summer, 2014. 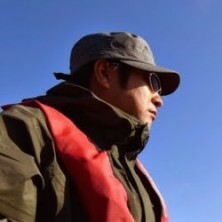 Iitaka Hirofumi – A.K A. Hiro, Japanese professional rod designer, has 2 decades designing experience, was worked for 2 leading tackle company in Japan as chief rod designer. His expertise is not only in rod development but also production process and quality control. Hiro-san has many masterpieces still popular in the market which developed at his previous company. Onikata Takeshi – Worked for would famous Japan listed lue & fly listed fishing tackle company for 17 years as professional rod developer. He also developed many successful fishing rod series prior to establish LEGIT DESIGN and still well-known by Japanese anglers nowadays. Onikata-san is also a Pro Bass Fishing angler, he participants JB for years and won the prize twice in his Pro angler career. In 2015, he is playing for JB Masters series. 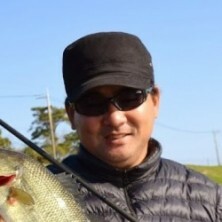 Therefore, he can not only designing a good rod from developer point of view but also a angler. Hiro and Onikata are not only have professional rod developing experience, as well as a serious angler, therefore they have ability to design a ideal rod which meet both their and angler's expectation. It's the spirit of LEGIT DESIGN. LEGIT DESIGN International Co., Ltd is located in Taichung, Taiwan since 2015, it's a subsidiary of LEGIT DESIGN Co., Ltd. Our missions are servicing Taiwan market and developing business in international marketplaces.